At CFW Precision Metal Components, we are quality-focused, experienced providers of custom CNC machined parts. We machine close tolerance components for industries such as aerospace, electronics, communications, military, and others that demand an exceptionally high degree of precision along with reliable service and on-time delivery. With our latest technology equipment and sophisticated CAD/CAM capabilities, we manufacture parts with geometries that range from simple forms to highly complex, three-dimensional contours. We have excellent technical knowledge of materials. In addition to all types of metal, including high-value superalloys, we work with many commodity-type, engineering, and high-performance plastic polymers. Along with 4-axis capabilities, we use live tooling and other next-generation, innovative, and productivity-enhancing machining technologies to simplify setups and accelerate cycle times. Capable of meeting your most challenging quality requirements, we uphold tolerances as close as ±.0001” on turned parts and ±.0005” on milled features. 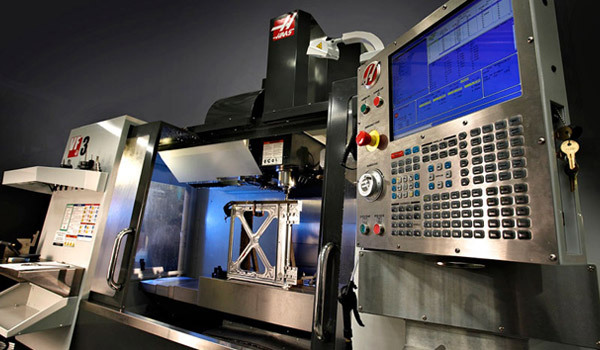 Our comprehensive approach combines all of your precision machining needs under one roof, including engineering, prototype development, volume production, and test & inspection. As an ISO 9001 certified manufacturing organization, we closely monitor quality at every step of the production process. We use state-of-the-art test and measurement instrumentation, and we prepare certificates of compliance along with any other required documentation. Specializing in production volumes of 5,000 units or more, we provide fast turnaround and competitive pricing. To fulfill your urgent needs, we also offer 24-hour AOG service. We are organized, efficient, and have a knowledgeable and responsive customer service team committed going above and beyond to satisfy all of your project requirements. Contact us today to learn more about our precision machining capabilities or to obtain a quote.